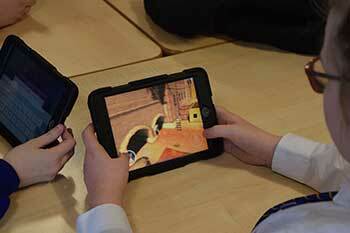 Welsh Christians were so impressed with Scripture Union’s award-winning children’s app Guardians of Ancora, that they’ve gone to extraordinary lengths to have the game in their native language. After discussions began with Scripture Union about how a Welsh version could be developed, it took only nine months to raise enough funds for the translation work to begin. The monumental fundraising effort raised £30,000 and received support from all major denominations as well as many trusts and a variety of volunteers gave time and resources, including S4C's flagship children's presenter Martyn Geraint, who recorded the Ancora song. Guardians of Ancora, or Arwyr Ancora when translated in Welsh has all the same features as the English version and it is hoped will open the world of Ancora to a whole new audience of Welsh-speaking children. Arwyr Ancora is being launched at the largest national children’s and youth conference in the UK, Urdd Eisteddfod in Eisteddfod on 28 May. Terry Clutterham, Mission Development Director for Scripture Union says, “As Scripture Union England and Wales, we are absolutely delighted that the Welsh have led the way with the first non-English version. The game has already had 140,000 users, which is set to rise rapidly with these new translations.